Master & Dynamic is one of those company that caters to a generation of audiophile who’s goal is to enjoy what great music has to offer. The sound, the design, the comfort you get out of what they have is above and beyond what you’d normally find at your local electronic store. The cost is well worth it, I encourage you to check them out! New York City-based premium audio company Master & Dynamic announced a partnership with George Bamford and the Bamford Watch Department (BWD), the world’s leading luxury watch personalization company. 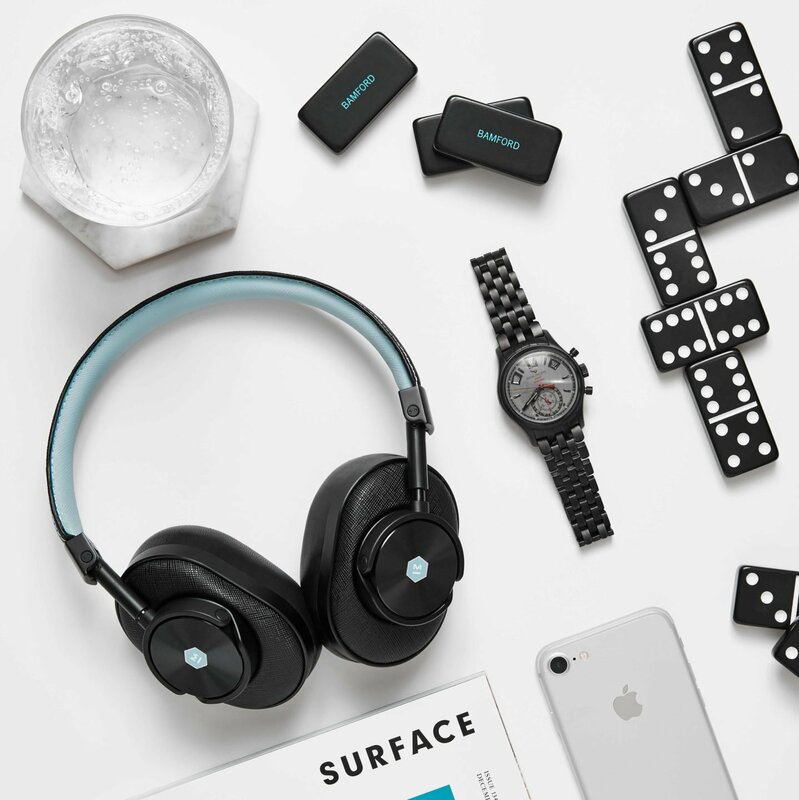 Together the two brands have re-imagined Master & Dynamic’s flagship MW60 Wireless Over-Ear Headphones in a limited edition pair featuring black Saffiano leather with a Bamford aqua blue lambskin headband lining and black lambskin ear pads. The Master & Dynamic for BWD MW60 is available for $549 at www.masterdynamic.com, www.bamfordwatchdepartment.com and luxury retailers across the globe including Colette (Paris), Lane Crawford (Hong Kong) and Dover Street Market (London, Tokyo, New York City). An avid watch collector, Master & Dynamic’s Founder and CEO Jonathan Levine often use luxury timepieces as inspiration when designing products; Master & Dynamic’s wireless over-ear and on-ear headphones utilise many of the same discrete, tactile buttons found in luxury timepieces to control volume and pause, play or repeat a song. Upon being introduced to George Bamford, the two bonded over a love of materials, craftsmanship and their shared passion for engineering excellence and innovation. 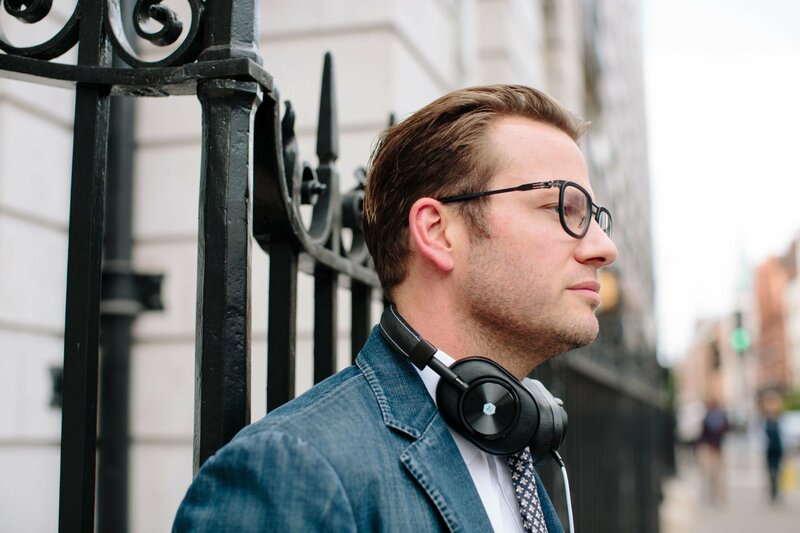 While Bamford founded BWD to offer unique, customized watches that nobody else had – with personalized elements including a unique formula of Military Grade Titanium Coating (MGTC), Graphite Particle Coating (GPC) and bespoke dial color options – Levine founded Master & Dynamic because he couldn’t find headphones he liked for his then-teenage sons. The Master & Dynamic for Bamford Watch Department allows others to share their desire for perfection. “Ever since I was a child I’ve valued the time, effort and skill that goes into the creation of high-end watches. Today, I am proud to say that Master & Dynamic is officially part of that process,” Levine said. Combining Master & Dynamic’s signature blend of form and function, the Master & Dynamic for Bamford Watch Department MW60 Wireless Over-Ear Headphones look just as good as they sound. 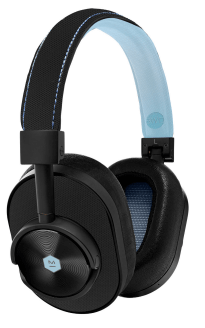 Designed to convey the exacting details found in the timepieces of the world’s leading luxury watch personalization company, the stunning MW60s feature a combination of black Saffiano and Bamford aqua blue, which is found on the Saffiano leather on the inner headband and mesh inside the ear cup. The Master & Dynamic for Bamford Watch Department MW60 Wireless Over-Ear Headphones can be purchased for $549 at www.masterdynamic.com, www.bamfordwatchdepartment.com and Dover Street Market in New York City, London and Tokyo.